Moving the Zoo license manager software from one server to another is really no different than installing the Zoo software from scratch. If the new Zoo server installation will be on the same subnet as the existing Zoo server, then make sure the existing Zoo server is configured to Allow multiple Zoo servers to run on this network. Download the latest and greatest version of the Zoo from here. Install the Zoo server software on your new server. 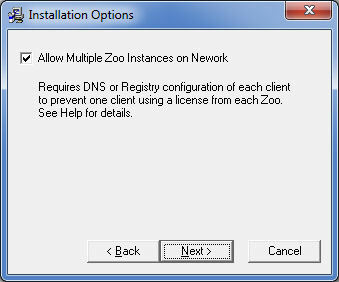 Note: If this Zoo server installation is on the same subnet as the existing Zoo server, then be sure to check the Allow Multiple Zoo Instances on Network check box during the installation. When the installation has finished, start the Zoo console by double-clicking on the shortcut. Note: If the version of Windows supports User Account Control, you need to run the shortcut as the administrator. Stop the Zoo service and add your McNeel product CD-Keys. Tip: Put all your CD-Keys into a text file, with one key per line. Then, use the Import option to import all your CD-Keys at once. When you have finished adding your CD-Keys, start the Zoo service. 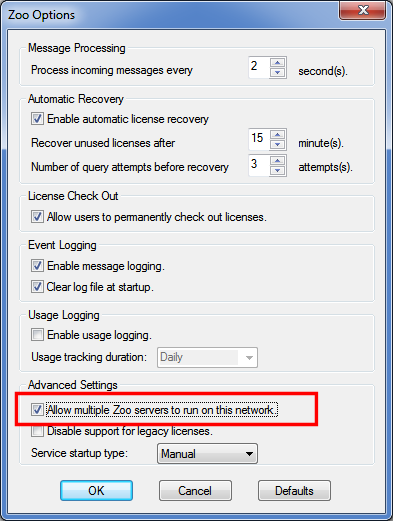 If all your Rhino clients are on the same subnet as the new Zoo server, and your clients are going to find the new Zoo server using Broadcast lookup, then the only thing left to do is to stop the old Zoo service. If you have Rhino clients that are using either Registry Key lookup or DNS lookup, then you need to update client Registries or DNS servers, respectively. Instructions are in the Zoo help file. Also, the SetZooServer utility included with the Zoo Bonus Tools can help with property setting the Registry, if you are using this form of lookup.